Let’s be real, how Great is your BJJ if Not geared to better your chances of success in the real world of self-defense and combat? Not Great at all! Black Belts included, most Brazilian Jiu-Jitsu practitioners aren't fighters to begin with. 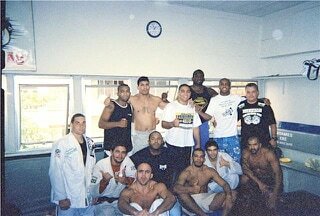 Take any hundred people at the beginning of their Brazilian Jiu-Jitsu journey and follow them for a couple decades, and you'll find this: less than 1 will attain true knowledge and/or an in-depth understanding, 9 will continue working at it, not because they want to but because much of their time has already been invested; 23 will be dead; and more than 67 will have learned Nothing. That's less than 1% successful, and more than 99% unsuccessful. Expert Black Belts have true knowledge of the Art. Maximizing one’s knowledge of The Art is only achieved through Experience in The War. To name a few, Carlson Gracie and his uncle Hélio, both experienced in The War of Brazilian Jiu-Jitsu. Do YOU seek true knowledge and an in-depth understanding of Brazilian Jiu-Jitsu? If so, seek out an Expert Instructor who is Experienced, with the kimono and without, in The War of Brazilian Jiu-Jitsu. Less than 1% will make the cut! How and with whom will you study?